4Lux are a highly respectable record label based out of Rotterdam, Netherlands. Well known for their expertise in house & downtempo electronica, they have developed somewhat of a unique sound. Started by Gert-Jan Bij (or others may know him as Gerd) back in the early 2002 4Lux have had some impressive artists on the books; L’Atelier, Roman Rauch and Alex Agore to name a few. Black and white are two of the sub label series ran by the outfit, both unique as each other. Born in Oberhausen, Germany, Kevin Over (soundcloud ) is another in a long list of great electronic music talent to come out of the country. He’s no stranger to the dusky grasp of deep house, making him a perfect fit for a release on the notorious 4Lux. Without further ado, we have the pleasure of bringing to you today a beautifully produced piece of music from Kevin Over called Coop. 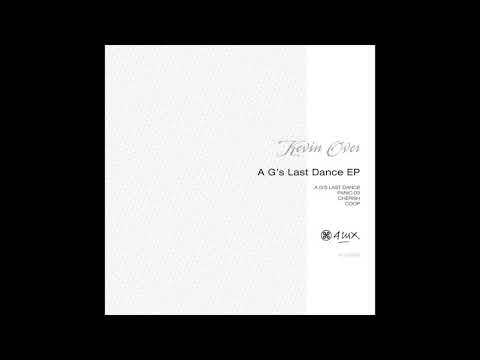 Taken from his latest EP “A G’s Last Dance” on 4LUX1801D this record perfectly rounds off another amazing release by the German. Like many of Kevin’s tracks, Coop takes you on a musical journey with its bold euphoric sounds making themselves known. Lush pads, keys and strings are combined to fabricate something very special, yet each unique and varied in their own way to make the other elements come to life. A track that will make the hairs on the back of your neck stand up, grab a copy of this EP today.